USA Imaging Supplies and SUN, one of the most widely recognized names in the media achieved much success in the digital media marketplace. 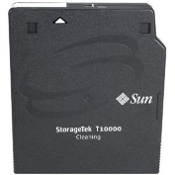 USA Imaging Supplies offers a full line of SUN T 10000 Data Tapes. Make your selection below, If you have any questions or hesitations then please give us a call at 619-684-5241. We work for you! Choose SUN or USA Imaging Supplies certified tapes where available, and ensure top quality output and superior reliability, as well as complete compatibility with SUN devices. All supplies listed here are guaranteed to work perfectly and deliver outstanding results.